The war Between the States has torn the small valley community apart, with residents' still holding allegiances to both sides of the conflict. Charity Morgan, too, has strong feelings, hating the Yankees for what they've done to her family and home-but it is her new job to unite the valley by teaching the children. Charity will do her duty, but she cannot bring herself to be kind to Will Bowers, who fought on the Union side. And that is fine with Will, for after finding out that Charity's brother was a famous Confederate spy, his initial interest in her has become confused. If Charity ever finds her brother, how can she bring him into this maelstrom of political emotions that she is learning to call home? And if Will can't put issues of the war behind him, will he ever find a place of rest? 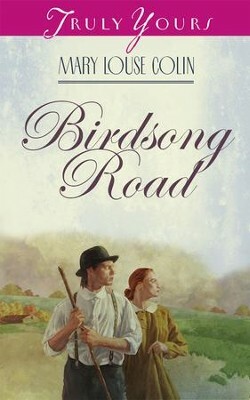 I'm the author/artist and I want to review Birdsong Road - eBook.